TOKYO – Toyota Motor Corp. has released the first damage report for its northern Japanese factories in the region hammered by Friday's massive earthquake, saying some equipment and fixtures will need repairs but that the plants sustained no major structural harm. Toyota, however, has suspended all 28 manufacturing sites nationwide, at the parent company and its seven affiliates, through at least Wednesday amid parts shortages and power shutdowns. Virtually every Toyota and Lexus model exported to Europe from Japan is affected by the shutdowns, but the extent of the impact might be minimal. According to a statement from Toyota Europe, the company's initial three-day suspension of work will have no immediate impact on the delivery of vehicles and parts in Europe because shipping of cars and components from Japan takes up to six weeks by boat. For days after the quake, Toyota had trouble contacting it plants in the northern Japan quake zone, making it difficult to assess their status. Two Toyota body-making subsidiaries have assembly plants in the region, while the parent company operates two parts factories there. One of two convoys of Toyota-dispatched relief trucks reached the area on Sunday, while another arrived Monday, the company said. The convoy – comprised of six water tankers, two fuel tankers and nine cargo trucks – delivered supplies to the factories' communities. Among the emergency goods: water, food, blankets and portable toilets. "We don't have any reports of injuries. There were no deaths, and everybody's safe," spokesman Paul Nolasco said of the company's employees in the disaster area. Other details weren't immediately available. The Central Motors plant makes the Yaris small car for export to the United States. Kanto Auto makes the Yaris sedan, as well as the Scion XB and Scion XD for the U.S. market. 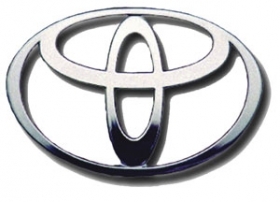 Toyota's parts plants were not badly damaged, the company said.